Now here’s the technical part of our trip from last time: a travel guide to Biliran and Cuatro Islas in Inopacan, Leyte. Exploring Biliran and Cuatro Islas in 4-5 days is actually a stretch. I know it’s common for local backpackers to move around a lot in order to see as many places as possible. Still, I’ll have to agree with others I’ve talked with that it’s better to do a separate trip each for Biliran and Leyte. So before anything else, here are some of my notes/personal thoughts on Biliran and Leyte. In its own way, I did enjoy Biliran. If I were to do this again I’d probably stay longer in here, particularly Sambawan Island and explore some of the islands that we missed (Dalutan and Capinahan islands) as well as a few interesting beach resorts in the area (Higatangan Beach Resort, for instance). 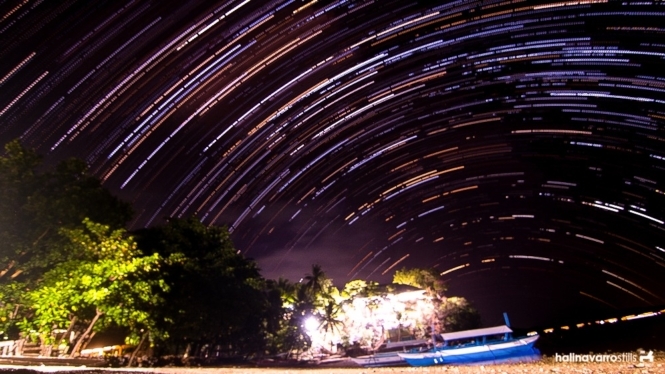 Trivia: Did you know that the Milky Way can always be seen in Biliran? Cuatro Islas for me is just okay. Not that amazing, but still worth a visit. I said the same thing about Kalanggaman Island by the way. I have high standards when it comes to beaches. As you know, Cuatro Islas is composed for four islands. Digyo Island has two sand bars, one of which is a bit like that in Kalanggaman Island, which I know instagrammers will love. Mahaba Island is very nice and a portion of it is considered protected sanctuary. Apid Island and Himokilan Island (not accessible from Inopacan) are residential and in my opinion can be skipped entirely. So far I’d been to Leyte twice, and I’m still looking for that place that for me has a “wow” factor. I included other attractions in Biliran and Leyte below, in case you’re like me who want to explore some place else. 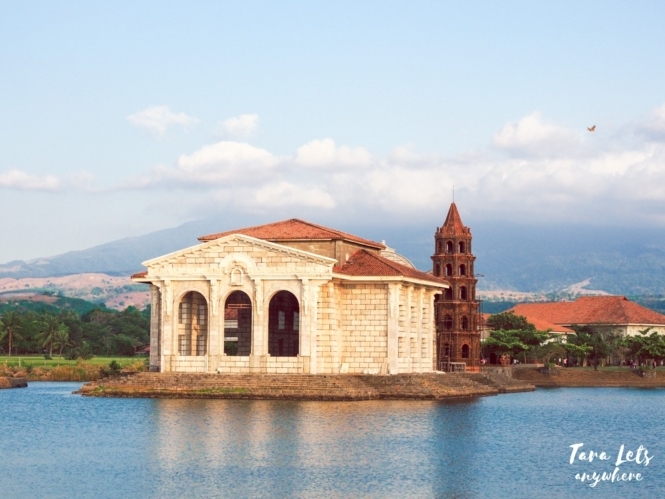 To get to either Biliran or Leyte, take a local flight to Tacloban. From Tacloban Airport, you can see vans outside en route to Naval, Biliran. It’s a bit expensive since it’s “pakyawan”. Alternately, if you want a cheaper fare, from the airport, ride a jeep to SM Savemore and get off at the terminal where there are also vans en route to Naval. From Biliran, you can ride a van en route to Ormoc City. To get to Cuatro Islas, ride a van to Maasin and get off at Inopacan. You can tell the driver to let you off directly at the municipal hall where there are boat rentals to Cuatro Islans. From Inopacan back to Tacloban City, you can simply hail a van, although from our experience, the vans are often full and far and between. It was difficult getting available seats even though we were only 2 people. If this happens to you, you might have to ride another van en route to Ormoc City and then transfer to another van going to Tacloban City. This is more time consuming, at 4 hours travel time. There are a total of 30 waterfalls in Biliran, although only a handful are visited or open to tourists. Ulan-Ulan Falls and Tinago Falls are the best among these. We managed to see 4 waterfalls in one day: Ulan-Ulan Falls, Recoletos Falls, Pondol Falls and Tinago Falls, Caibiran. You can read about our experience in exploring the waterfalls in Biliran here. There’s a lot of habal-habal rides in Naval town and Talahid so it should be easy to get a tour there and then. 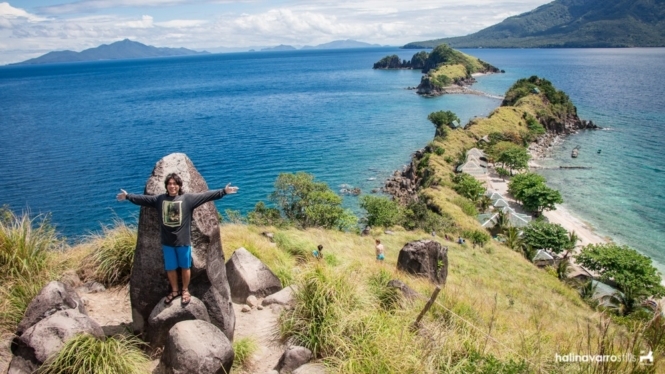 Aside from chasing waterfalls, you can also island hop and beach bum in Biliran! The most popular island in Biliran is Sambawan Island, so a lot of tourists opt to visit this only. If you’ve already read other blogs, you’ll know that there two options to get to Sambawan Island. Option A: Take the 10AM passenger boat from Naval port to Maripipi (P75 fare). Charter a boat to Sambawan Island (P500 round trip). The next morning, take the 5AM boat ride back to Naval port. Option A is more time consuming but it’s also cheaper. Budget travelers, especially those in solo or two’s, opt to go with this. Because of our schedule (Friday to Tuesday), we found that getting to Sambawan Island is a bit tricky. There are no boat transfers during Sundays. So if we went with option A, we’d be stuck in Maripipi until Monday and we’d run out of time for other things. We can go with option B, but if we wanted to visit other islands as well I’m guessing the cost will be around P4000. There’s another option, but it’s not any better. I find the price outrageous, to be honest. Sambawan Island isn’t even that far. Option C: Charter a private boat for island hopping from Talahid, c/o Agta Resort. A boat to Sambawan Island costs P3500. 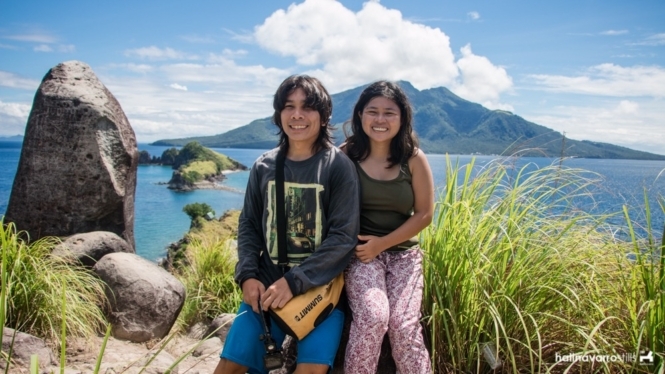 You can read about our island hopping in Biliran here. Cuatro Islas is a group of islands belonging to the municipalities of Inopacan (Mahaba Island, Digyo Island) and Hindang (Apid Island, Himokilan Island). 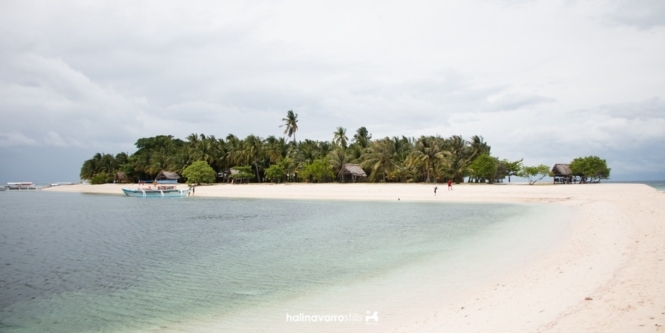 If you’re coming from Inopacan, you can only visit Mahaba Island and Digyo Island. To get to Cuatro Islas, you need to register at the tourism at the back of the municipal hall in Inopacan. *Rate applies to one island only. Add P500 to include all three islands and another P500 for an overnight stay. Boats are open for sharing with other tourists. If you’re there on a weekday, there’s a chance you might not find other tourists to share expenses with, which is what happened to us. As of this writing, there are only 6 available cottages in Digyo Island. I’m not sure if you can reserve in advance because I can’t find any contact details with the Inopacan tourism. We availed of a cottage for an overnight stay. The cottage is a basic one, no frills. No pillows or bedding. There is no electricity except for the lights outside. Tip: There are no restaurants in Cuatro Islas, but there’s a sari-sari store in the island. Make sure to bring your own food before going here; there’s a market near the Inopacan city hall. We stayed at Talahid Resort (aka Coco Grove Resort) in Talahid, which has reasonable rates. It’s also very relaxing and has one of the calmest beach shores I’ve seen. Beach sunset is beautiful. There’s a small sari-sari store in Talahid Beach Resort but they have no restaurant. You have to cross to Agta Cafe on the other side or bring your own food from town. I suggest doing the latter if you’re on a budget. Another option in Talahid is the Agta Beach Resort. You can check out the current room rates of Agta Beach Resort here. After island hopping, we stayed in the town of Naval so we could catch the early public transport to Ormoc City. We had a room at TJ Pension House, which is just walking distance from the terminal. If you want more information on Biliran, biliran.gov and tourism.biliran are good resources. We only visited selected tourist spots in Biliran and Leyte. Here are other places you might want to see. Some people also squeeze in a day tour to Kalanggaman Island in Palompon since it’s just about 3 hours away from Tacloban City or Naval, but we skipped that since we’d already been there last summer. 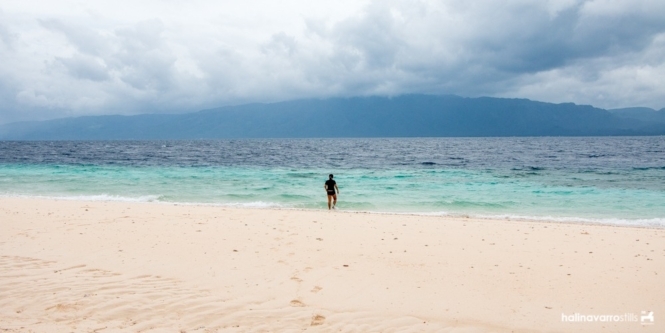 Other destinations in Leyte include Canigao Island in Matalom and Limasawa Island. A fellow blogger says it will take 2 weeks to tour southern Leyte, so I’m guessing there’s still a lot we haven’t covered. I don’t think there’s much to do in Tacloban City except for the few usual touristy things (see San Juanico Bridge, etc. ), but food tripping seems like a good idea. There were only 2 of us in our trip. Our budget was about P7000 – 8000 each. Like I said, island hopping rates are expensive for couple travelers. What you can do is find other travelers in FB groups in advance or plan your island hops on weekends so you’d be sure to find other joiners. Those falls look amazing! I actually am freaked out by rivers and lakes, so I am not sure I’d do more other than take photos. Haha! The beachfront options look more appealing to me. I’ve only been to Leyte once, can you believe? We’d only been there twice. 🙂 There’s so many places to visit, we rarely go back twice. When we went to Leyte, we only have a day to spend because we came from Cebu. I will definitely visit Leyte again when I have a chance and will consider getting back to this travel guide! Good photos!